The LED backpack is a one of a kind bag with a revolutionary signaling system. In its most basic form, an LED backpack has an LED panel inserted into its rearmost pocket, with the LEDs facing backward. Its material is water resistant although some incorporate the use of a water-resistant rain cover and both the bag’s material and the rain cover must be translucent in order to allow for the LED light to be visible from outside the bag. The water-resistant backpack material or rain cover essentially protects the LED panel from water, preserving its electrical components. You might be wondering why you need such a sophisticated backpack. Well, here are some of the advantages that make is far superior to a normal backpack. The primary reason to include LED lights in a backpack is to increase visibility at night. Normal backpacks might have reflectors but these require light to be shone on them for them to reflect back the light. In case the vehicle behind you has headlamp issues, your reflector is useless. LED backpacks, however, provide a consistent display of lights that let the person or vehicle behind you know you are there. Therefore, using them, especially in the dark, is much safer. LED backpacks are not meant solely for safety purposes. They can store and help you carry actual cargo in their pocket(s). In fact, some are actually bigger and have larger storage space as compared to regular backpacks while some have padded pockets for safeguarding your laptop or tablet from damages in case the backpack falls. This makes them very practical as they can be used by almost all backpack users. 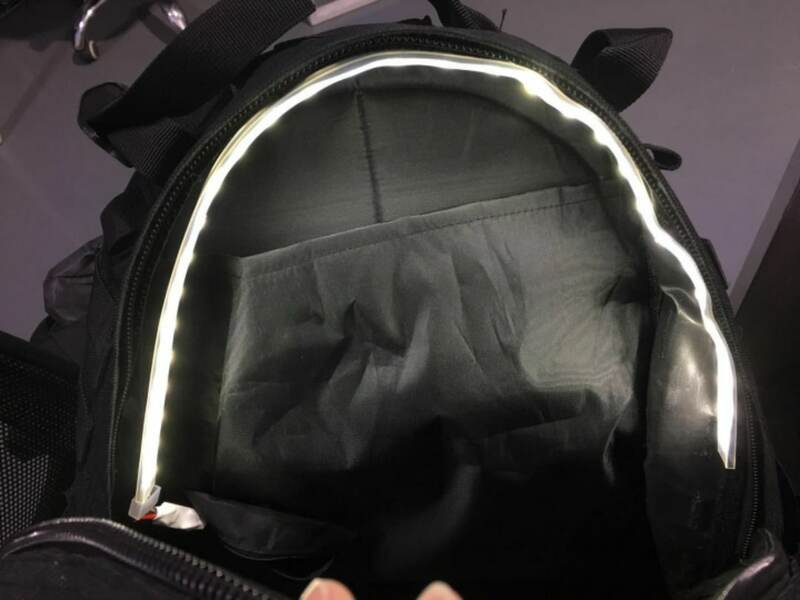 Additionally, the water-resistant characteristic of LED backpacks also helps keep electronic items such as laptops and phones safely inside while books can be kept safe and dry. Some LED backpacks have intelligent brake sensors that constantly detect the user’s velocity. If it detects a sudden reduction in velocity, it produces a continuous or flashing red light that warns the people behind you of imminent danger. This gives you a sort of auto safety feature that helps you avoid rear collisions. This backpack is designed for many types of users. 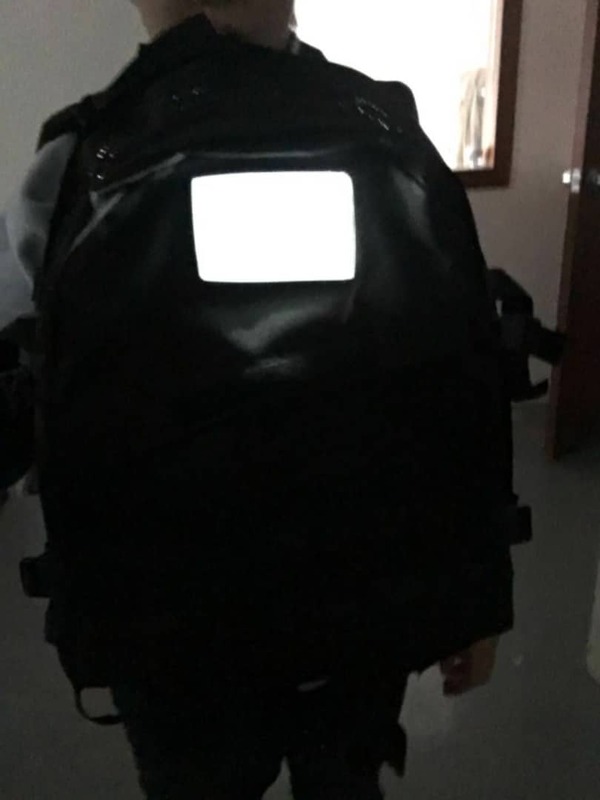 Whether you are a cyclist, runner, scooter rider, runner or skateboarder, an LED backpack provides a flashing panel at the back to help keep you visible in the dark at all times. LED backpack panels come with a wireless remote control that is used to instruct the LED panel on what to display. The panel displays various signals, key among them being the left turn, right turn, brake/danger and forward. These wireless remote controls are incredibly easy to use because they have few buttons which are clearly marked and well labeled in such a way that you cannot mistake anything. Additionally, the LED panel and the wireless remote control are easily rechargeable, mostly using USB ports, making them very practical. Having these awesome features this might be a great option while you going to buy your next backpack. You will get a crowd funding campaign is going on the Kickstarter for this LED Backpack. LED backpacks provide you with many advantages while on the road. These advantages, which mostly revolve around safety, give the bag an edge over the similar, non LED counterparts. Additionally, they also give the non LED counterparts a run for their money regarding functionality and value for money. This makes them the safest best when moving around using bikes, on foot, on skateboards or on any other form of movement that exposes your body in the dark with little visibility.